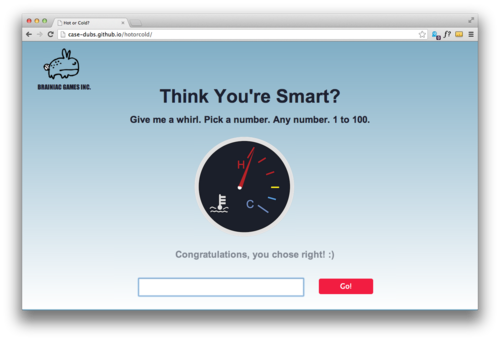 Casey Wilson: Think You’re Smart? Sami Bashraheel: Hi! Going Shopping? 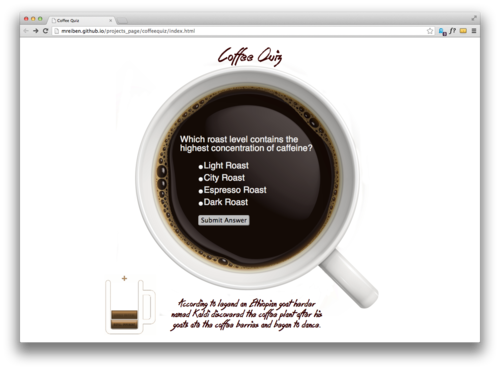 Students learn how to accept user input through a form using jQuery. 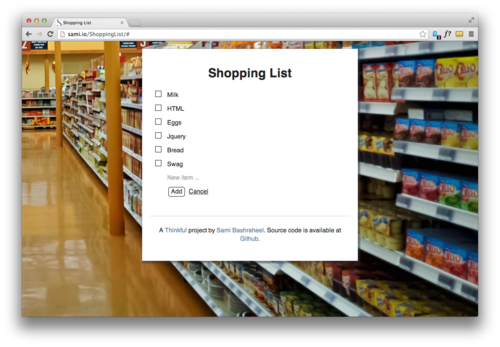 Sami created his own version of the Shopping List app with delete/save options. See what happens when you resize your screen! JT’s back from last month’s Honor Roll! His friend got married a few weeks ago so he decided to give them a post-wedding gift using every photo with the #leithardwedding2013 hashtag . 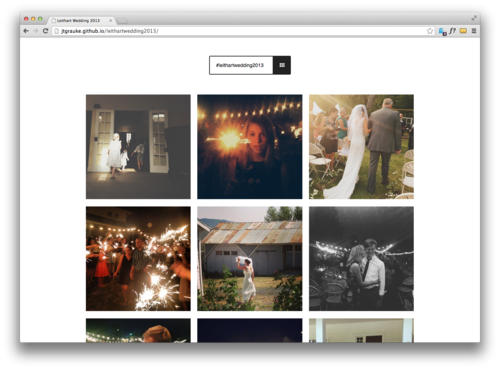 He was able to integrate Instagram’s API for this beautiful Hack.